Eat the rainbow every day! Julienne the carrot and dice up the radicchio leaves, cucumber and peppers. For the raw version place a little bit of every ingredient onto one end of the coconut wrap and roll it up tightly. 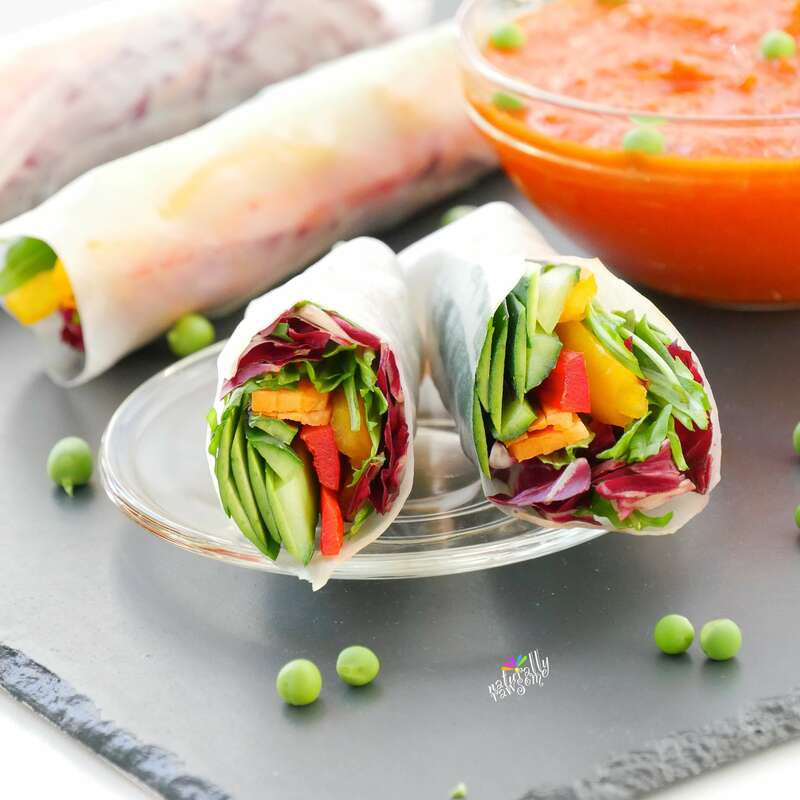 For the vegan version, soak one rice paper sheet in water until it is soft, place it on a kitchen board and add a little bit of every ingredient onto one end of the sheet. Roll it up carefully and not too tight. If you roll it up to tight it might crack apart. Repeat until all of the ingredients are used up. As a dipping sauce I used my all-time favorite pepper dip for which I have a few variations but my Spicy Asian Sauce makes an even greater fit.